Brother Jesse Blog: The 2012 Saviours' Day convention marks the 82nd year of the Nation of Islam's existence in North America. 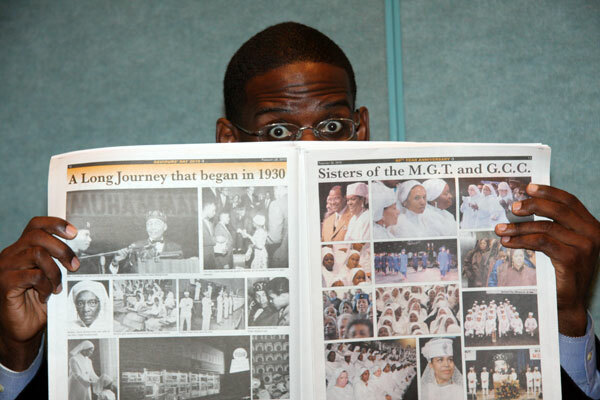 The 2012 Saviours' Day convention marks the 82nd year of the Nation of Islam's existence in North America. The 2012 Saviours' Day convention will mark the 82nd year of the Nation of Islam's existence in North America. Each year, to commemorate the birth of its founder Master W. Fard Muhammad (February 26, 1877), thousands of members and supporters of the Nation of Islam from around the world make the journey to attend the annual convention during the last week of February for a weekend of fellowship, networking, information dissemination and spiritual renewal. Also during Saviours' Day, some of the best academic minds, entertainers and activists come together for strategizing, organizing and mobilization. Workshops, plenary sessions, the legendary drill competition and more will be held Feb. 24-25 at the Rosemont Convention Center in Rosemont, IL. Saviours' Day is NOT just for members of the Nation of Islam. The Honorable Minister Louis Farrakhan's Saviours' Day messages are always timely as he marvelously deals with current events, spiritual realities, prophecies and solutions to the problems plaguing the Black community in particular and humanity in general. The Saviours' Day 2012 Keynote Address is scheduled to be delivered at the United Center in Chicago, IL., on Sunday, February 26.